In our next edition, the festival will host Lisa Ornstein, “grande dame” of the Quebec violin, part of the group Le Bruit court dans la ville. She will offer 8 hours of intensive training on Thursday 15 and Friday 16. The 2 other instructors will be announced soon. If you wish to give your name as a volunteer or obtain information, you can already contact the new event manager, Valérie Burnet, at musiqueettraditions@gmail.com. 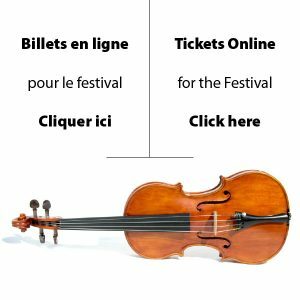 Our festival, dedicated to the fiddle repertoire of Quebec as well as national and international styles, takes place in the center of our magnificent village. Sutton is ranked among the 10 best tourist destinations in Quebec. Yves Bernard of the newspaper “Le Devoir” ranked it among the four main folklore festivals in Quebec in 2016. Thursday and Friday: Intensive Workshops . 8 hours of fiddle repertoire and techniques of Québec and Acadian music and guitar accompaniment with 3 instructors. Friday to Sunday: The Parc des Vétérans in the center of the village will host 8 concerts, 2 traditional dances, 3 master classes and many jam sessions for all. The Kid’s Festival will allow parents to attend other activities in the afternoons. With the exception of the sessions, all the events will be held in inside or under the main tent, protected from the elements. Purchase an online passport (pre-sale discount) and low-cost camping now. Come and join the party!